Organize Activities to Raise Awareness For Your Local Shelter! Raise awareness for homeless animals, cultivate compassion with community leaders and earn recognition for your school. Three schools or libraries will be selected who demonstrate the greatest impact on adoptions. It’s as easy as 1-2-3 – Mutt-i-gree – I – Agree! • Every March to May, North Shore Animal League America’s National Tour For Life® travels across the country to find loving homes for as many pets as possible. One of the 50+ adoption events may be at a shelter near you! • Every May, North Shore Animal League America’s Global Pet Adoptathon® joins voices around the world to raise awareness for all shelter pets. Check our Tour For Life® website for an adoption event near you. Organize an activity to promote the TFL local adoption event and we will publicize your involvement. Make social media posts to help shelter pets around the world get adopted during the month of May. Invite your local shelter to be part of Global Pet Adoptathon®. 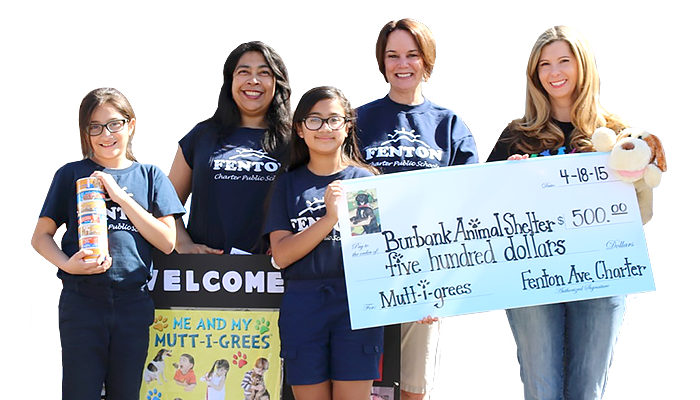 Share what you are doing with us: Photos, social media posts, advertising, and media coverage, during March through May and you’ll be highlighted as a Mission: Mutt-i-grees Ambassador! Send to Jayne Vitale: [email protected]. Give rescue pets a second chance, and empower your students to create change. Demonstrate how a simple action can have great positive impact and help shelter pets all over the world. Together, we can cultivate a world filled with empathy and compassion. Check out our Mission: Mutt-i-grees Thought Starters for ideas on how to make your event a big success! *Three winners will be selected who can demonstrate the greatest impact on adoptions. Submission should include photos, videos, social posts and any other appropriate media. Submissions must be received by April 19, 2019. The winners will receive a cash prize plus curriculum kits and online access for Grades PreK-12, Mutt-i-grees in the Library, Cats Are Mutt-i-grees 2, Muttigrees At Home and Paws Down, Tails Up with Mutt-i-grees.